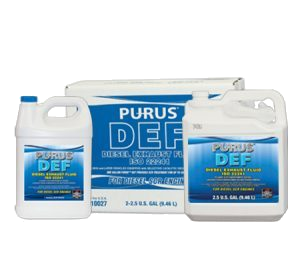 Purus® Diesel Exhaust Fluid (DEF) is a non-toxic, clear, chemical, urea solution for use as a reducing agent in diesel-powered vehicles with SCR systems. Toxic NOx exhaust emissions are reduced to the following components of air, nitrogen,water and carbon dioxide, thereby removing previous environmentally and physically damaging pollutants from further entering the atmosphere. 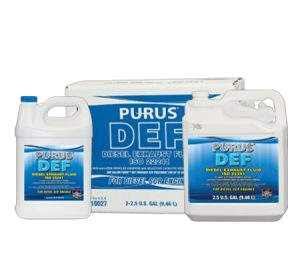 Purus® DEF meets all EPA standards and is certified by theAmerican Petroleum Institute (API).